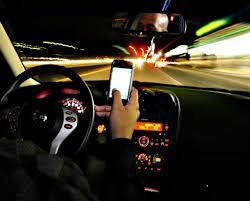 Injury attorneys in Orlando are filing more lawsuits involving distracted driving accidents. Car accidents in Orange County are up dramatically over the past few years. Experts say the main culprit is texting while driving and the other electronic distractions that divert attention from the road. Peterson says Central Florida drivers are more than twice as likely to cause distraction-related car accidents than average Floridians. News 6 in Orlando recently studied car accidents in Orlando and around the state for the past four years. They reported that in 2013, Orange County recorded 5,390 distracted driving car crashes. All in all, they found that accidents jumped to 6,972 in 2017, an increase of 33%. Not only do Orlando area drivers rack up more car accidents from inattention, but the crashes are also more lethal. Consequently, the county leads the state in distracted driving fatalities. Distracted—or careless—driving is just one of the forms of negligence that Orlando personal injury attorneys deal with every day. Above all, anyone who gets behind the wheel of a car has the duty and responsibility to avoid accidents. What this means, first and foremost, is that the driver has to pay attention. Ultimately, safety is the number one priority. In fact, failing to keep that in mind is what’s driving the recent tragic surge in auto accidents. If an accident caused by negligence or carelessness has impacted your life, you’ll want the best personal injury attorneys you can find. Orlando car accident attorneys Martinez Manglardi, PA have been helping auto accident victims get fair compensation for more than 30 years. Call 407-846-224 for a free consultation about your personal injury case at one of our convenient Central Florida locations.